Georgio Armani’s Luminous Silk Foundation is described as a silky, lightweight foundation, that captures the glow of perfect looking skin. I tend to go for this type of base rather than a matte finish as my skin is a bit of a pain and tends be be dry in places, and no matter how much I try to improve my skin, there’s always a least a bit of dryness going somewhere on my face! Foundations with matte finishes will more often than not highlight dry areas, and apart from that they just seem to not sit so well on my skin. 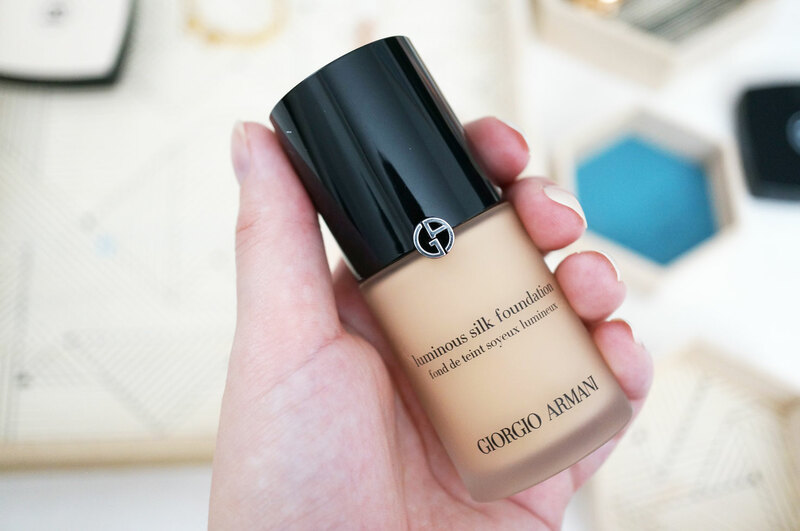 So this foundation really does sound perfect for my skin type, it’s an oil-free hydrating fluid with Georgio Armani’s exclusive Micro-fil™ technology. 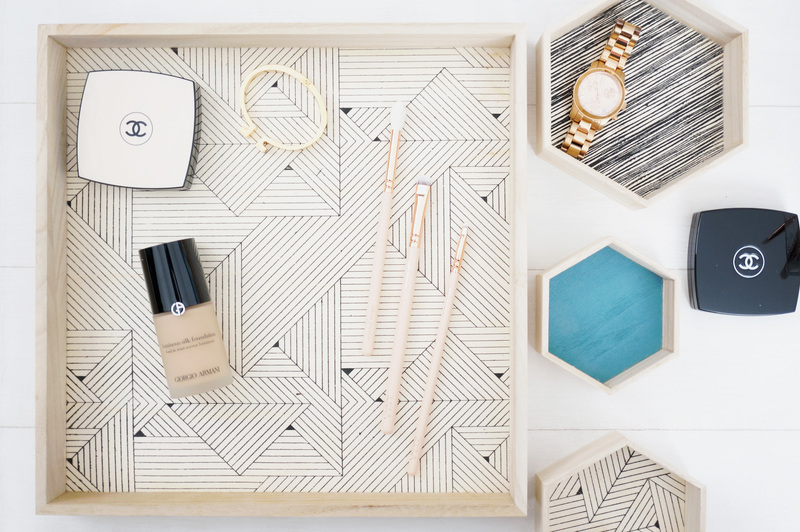 Its also described as lightweight, with a silky texture that glides on seamlessly for an all-day, buildable coverage. Well, I can tell you this is definitely a keeper! I’d describe the coverage as medium, which can be easily built up where required. The liquid itself is super light weight, and it reminds me a bit of the YSL Fusion Ink Foundation but this is not quite as watery feeling, and it really does give the most natural, seamless ‘no-makeup’ finish. There’s no cakeyness, no creasing and no dryness with this foundation at all. It also has a super lightweight feel on the skin that’s so comfortable you don’t actually feel like yore wearing foundation, which I just love. 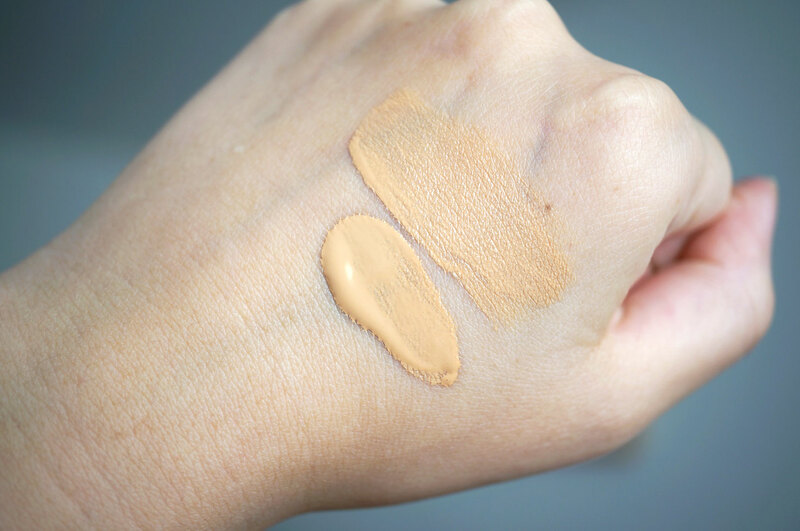 I have shade 3.5 which is perfect to give a hint of glow to my pale complexion, also this foundation comes 21 shades in all, so there should be something to suit everyone. I’d highly recommend it to anyone with dry skin like me that’s looking for a natural, no-makeup finish. This offer ends on Tuesday 22nd September, and you can check out the full details here. 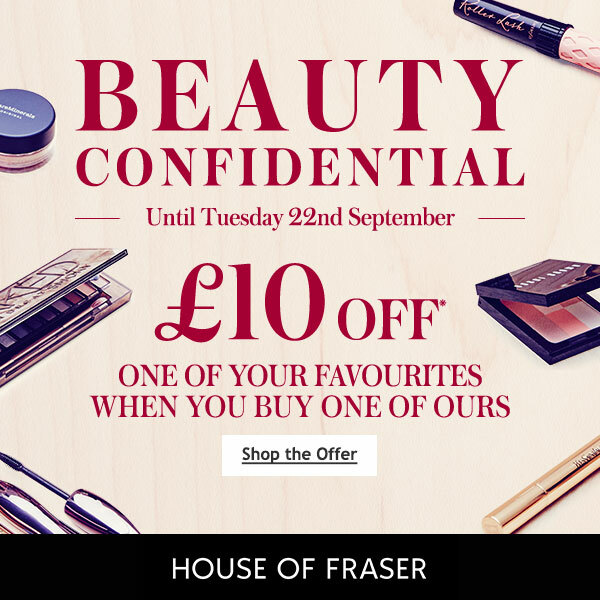 House of Fraser stores nationwide are also hosting a variety of exciting Beauty Confidential Events throughout the month of September, where customers will have the opportunity to discover the products in the offer, get advice from the experts and enjoy a glass of bubbly too, so do take a look at their site to find out about your nearest event! Giorgio Armani Luminous Silk Foundation (30ml) is available now for £36.50 from House of Fraser. Previous Post Tasty New Products From SlimFast! Next Post Neve Cosmetics Build Your Own Palette + Giveaway!